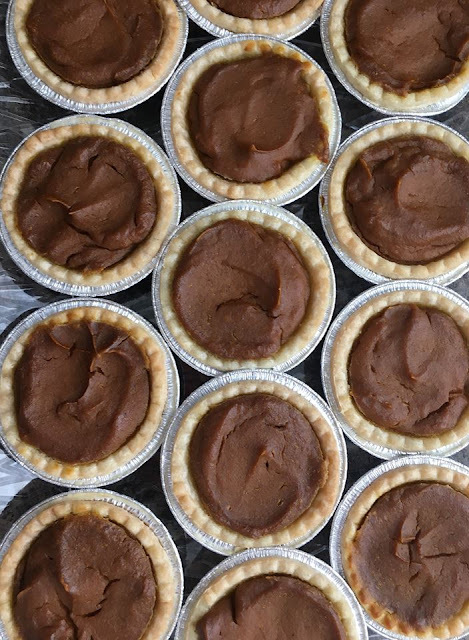 Pumpkin Pie is the Thanksgiving dessert of choice for many families. This delicious pie is filled with fall flavours like cinnamon and nutmeg, and of course, pumpkin! 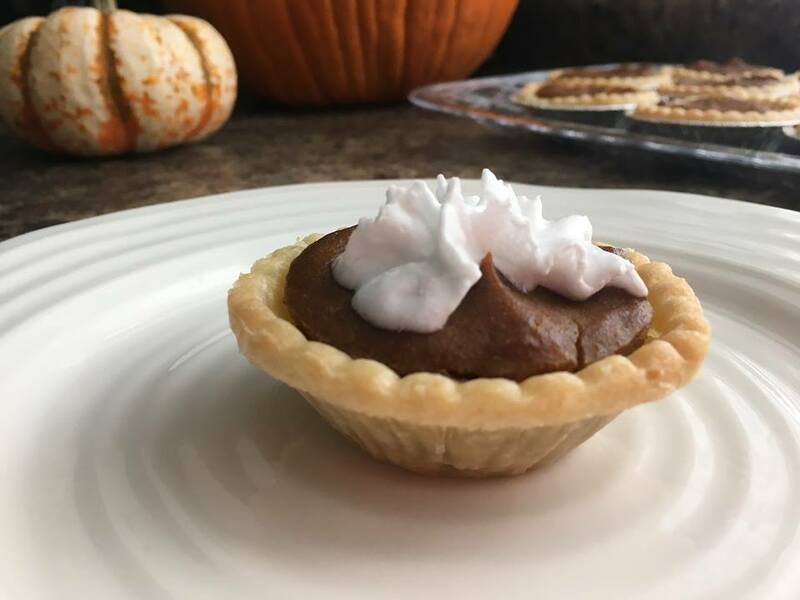 This recipe calls for canned pumpkin, but alternatively, you could puree a roasted or steamed pie pumpkin, in order to substitute for the canned pumpkin in this recipe. 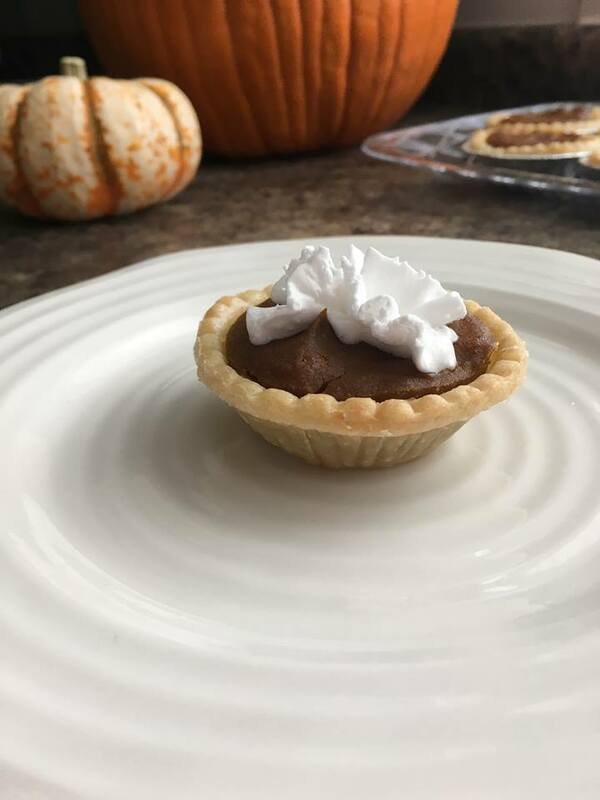 Making pumpkin pie is as simple as blending together the ingredients, and pouring it into a pie shell to bake. The key to this vegan pumpkin pie, is to let it chill in the refrigerator overnight, so it has time to set and firm up. This recipe makes 30 miniature pumpkin pies, or two standard sized 9" pies - of course you could also make both and bake 15 tart-sized pies and 1 large pumpkin pie! Vegan (as always, this means the recipe does not use any animal products. 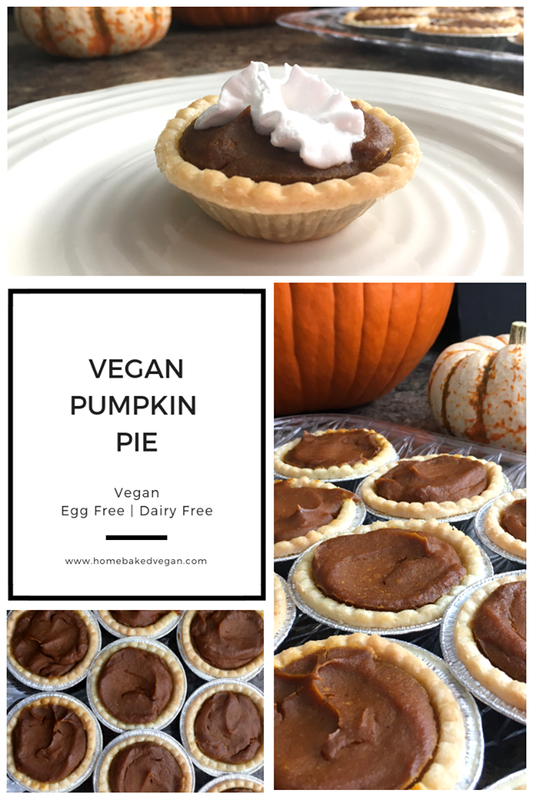 This is a recipe for egg-free, dairy-free pumpkin pie). 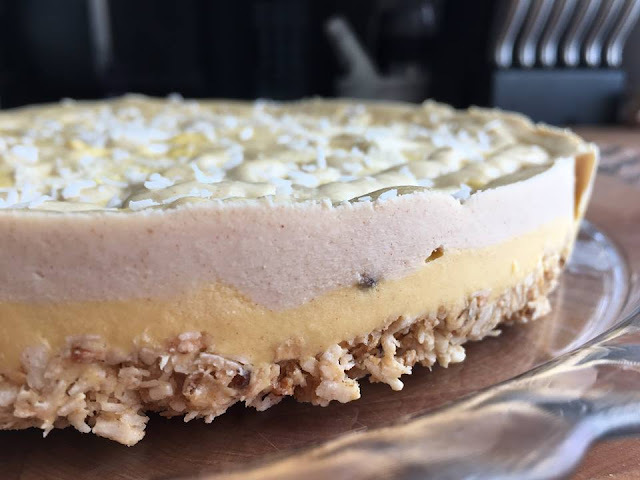 In a large, high powered blender, blend together the pumpkin, coconut cream, corn starch, brown sugar, maple syrup, cinnamon, ginger, nutmeg, and cloves. Blend until smooth. 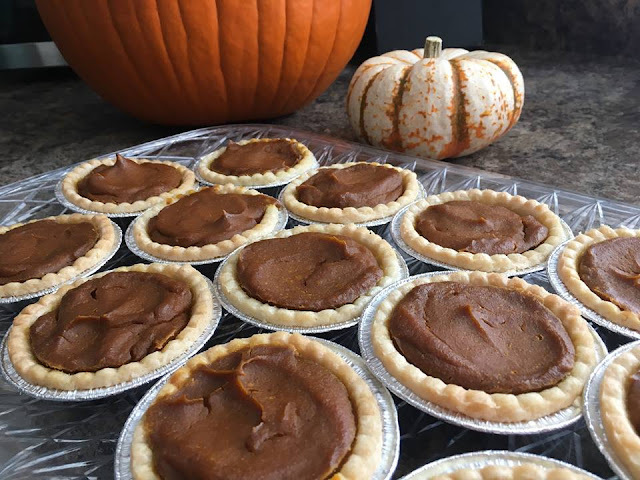 Place the pie shells on a baking sheet. Evenly distribute the filling into the pie shells, and use a spatula to smooth the tops of the pies. Bake on the middle rack of the oven. If you are baking 9" pies, bake for 55 - 65 minutes. 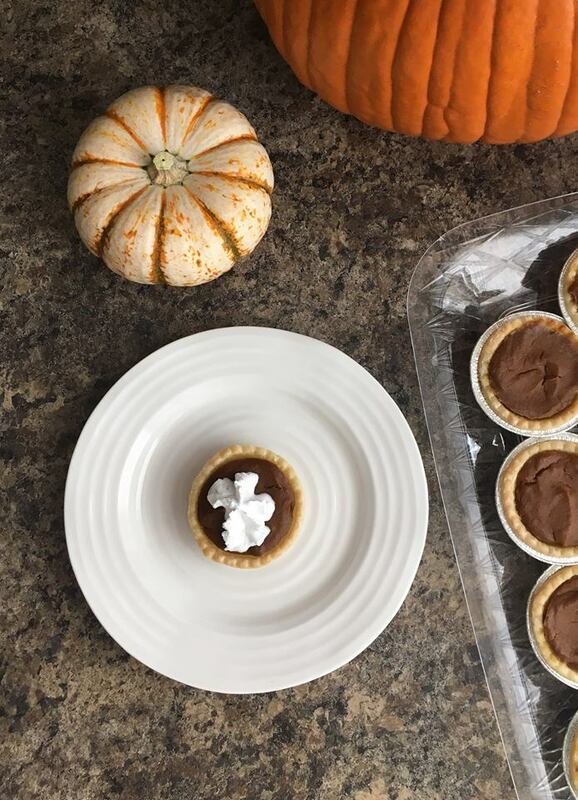 If you are baking miniature pies in 3" shells, bake for 25-35 minutes. Remove from oven, and let cool to room temperature. Loosely cover the pies with plastic wrap, and refrigerate overnight. 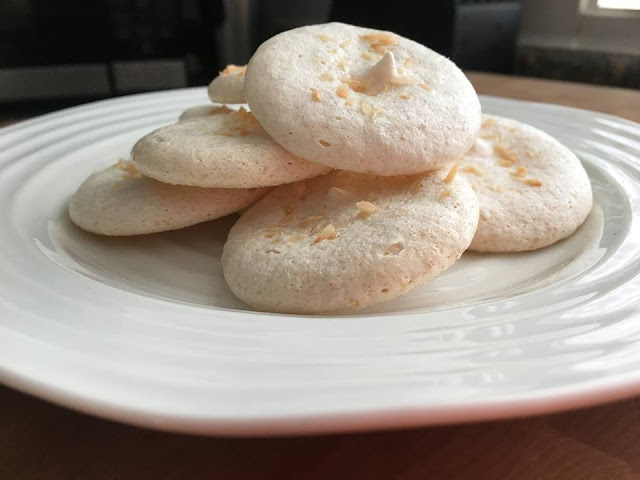 Serve with coconut whipped topping, and enjoy!